Hue is a UNESCO World Heritage Site situated on the banks of the Perfume River (Huong River), from 1802 to 1945 Hue was the capital of Vietnam. You can travel to Hue by tourist bus, ordinary bus or by train, the train station is situated around 2km from the main Guesthouse & Hotel area in Hue. 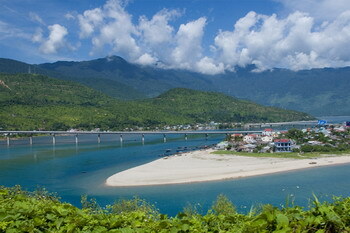 Hue is in central Vietnam and around 700km from Hanoi and about 1,100km north of Hồ Chí Minh City. 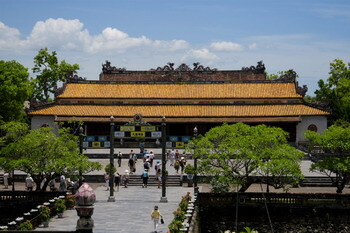 If your visiting Hue it is best just to hire a bicycle to visit the many attractions including the Imperial complex, the Citadel and the Forbidden city. 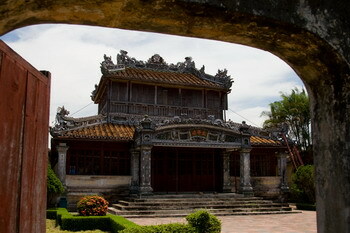 Hue has 100's of Buddhist temples and pagodas ranging from 100 to 300 years old and is famed for it's vegetarian food. 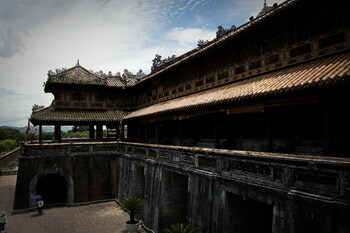 The tombs are a few km South of Hue and each tomb area contains gardens, lakes, palaces and other buildings, these are generally very well kept, tombs include Minh Mạng, Khải Định & Tự Đức. An hours drive from Hue is the Bach Ma National Park, with attractions such as the Do Quyen Waterfall which is over 300 meters high, also the Hai Vong Dai observation point where you can view the surrounding scenery of Bach Ma National Park. The hotels and guesthouses in Hue are all pretty much in the same area, they range from 5 star luxurious splendour of such places as The Imperial Hotel with room rates starting at $160 per night, to places such as Thanh Thao Hotel, Thai Y Hotel, Dong Phuong Hotel, Song Cam Hotel and Thang Long Hotel for $20 or less per night.